← Earth Day is Coming…. This week is all about the garden. This is our fourth year gardening with children and each year we all learn a little bit more and thus our garden does a little bit better 🙂 We have one small bed, one larger bed and a bunch of containers where our gardening takes place. Our focus is on growing easy crops (cucumbers, beans, peas, lettuce), herbs and a few more challenging (tomatoes and pumpkins). We love the garden because it gets us outside almost daily. Between preparing the beds, planting, weeding, watering, fertilizing and then harvesting….there is always something to do. My five-year old enjoys the planting and watering part but usually leaves the rest up to me. 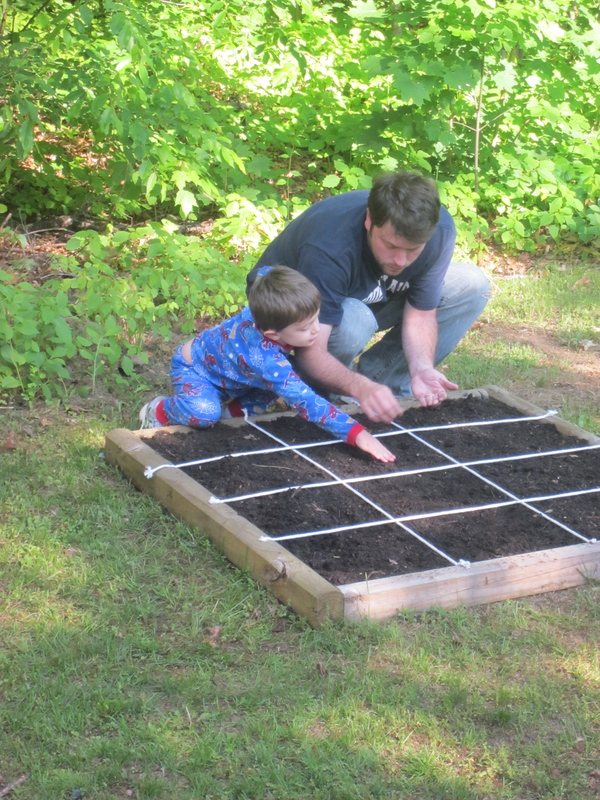 This year I was able to coax him to help me prepare the beds so I hope he will also take interest in the rest as well. 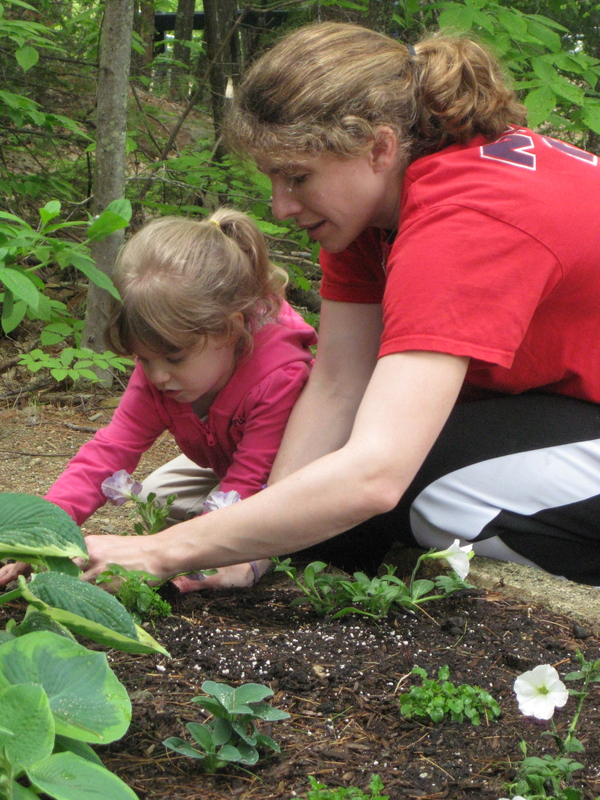 I also love gardening because it teaches my children how much hard work goes into growing the food that they eat. We are also members of a CSA and it is my hope that our own small-scale garden will help them to appreciate the food that we get from the CSA that much more. Sprout Robot-this site will email you and tell you when to plant which seeds!